Have you ever used a Virtual Private Network (VPN) app, only to find that it's impossible to connect? When you locate the log file, you'll see error codes registered in there. You'll need to know what those codes mean in order to produce a solution. Manually set up VPNs are even more likely to present you with error codes because there's no company software between you and the underlying mechanics of the VPN connection to interpret the meanings of those errors for you. In this error code guide, we explain the most frequently encountered VPN error codes. We also suggest fixes for the problems that these codes denote. This error is quite common and is easy to fix. You need to have access to the Remote Access Server in order to fix this. Open the Routing and Remote Access control panel. Expand the entry for your server. Hover the pointer over Ports and click the right mouse button. Select Properties from the context menu. Click on Name and select WAN Miniport (SSTP) then click on Configure. Look at the number in the Maximum Ports field. By default, this should be 128. Increase the number that is shown. Click OK in the Port Properties window to close it. This problem relates to HTTPS authentication certificates. Either the VPN server can't find the certificate, or there is some sort of problem with it. You can't fix this problem yourself. It's an issue that is the responsibility of the people who own and operate the VPN server. If you're using a subscription VPN service, all of the company's other customers will also be locked out. The VPN's technicians will already know about the problem. If the certificate is installed, then the server manager needs to check the HTTPS binding. This error code is generated by the Cisco VPN system. It relates to the VPN client, which is the VPN software running on your computer. The VPN software can't get through to the underlying network software on your computer to make a connection. This means something has stalled. Close down the VPN and run network diagnostics. Start the VPN up again and see if this has solved the problem. This is a Cisco VPN error code that arises from the VPN client software. This is very similar to error 51. However, in this case, the client program was communicating with the VPN server, but lost the connection. Close down the VPN, run network diagnostics, make sure your internet connection is working, then turn the VPN on again. This error code is generated by the VPN software on your computer. It means that the VPN can't get through to a port because the device type definition is not present or is not configured properly. This definition should be set up by your VPN and networking software. The easiest way to fix the problem is to reboot everything. However, first try the diagnostics system to see whether that can fix the problem. Look at the error report message and click on Diagnostics. Click on Repair. Stop the Remote Access Connection Manager (rasman) service and then turn it back on. Turn off the VPN, shut everything down, restart your computer, then turn the VPN on again. This error is a frequent occurrence on Windows computers. It is usually due to the firewall blocking access to the network. This is not the only possible cause of the error, however, so you may need to try several solutions in order to get the VPN working. Firstly, check that you only have one VPN running. Click on the up arrow in the service tray of your task bar to look for hidden icons of running programs. Right click on all icons of VPNs and select Quit from the context menu in each case to shut it down. Right click on the taskbar at the bottom of your desktop and select Task Manager from the context menu. Scroll through the list of active processes and shut down all that relate to the VPNs that you've installed. Restart your preferred VPN to see if the problem has been resolved. Click on the Windows button to get the Start menu, then click on the cog symbol to access the Settings system. Type Windows Firewall into the search box in the Windows Settings screen. Click on Windows Firewall in the list of results. Click on Turn Windows Firewall on or off in the left-hand menu of the Windows Firewall window. Click on the Turn off Windows Firewall radio button in both the Private network settings and Public network settings. Click on OK to save the settings, then try the VPN again. 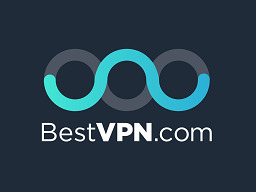 If this test proves that the firewall was blocking your VPN connection, speak to the help desk of you VPN provider to get a solution to the problem. If you're looking for a VPN for windows, check out our best VPN software for Windows guide. This problem arises when the Transmission Control Protocol (TCP) port that the VPN connection needs is already being used by another program. It could be that the other program stalled, or fell over without completing the resource release procedures needed to make the TCP port available to other processes. The solution to this problem is very similar to the steps for solving error 609. The diagnostics fix won't be able to help you, but restarting the Remote Access Manager should clear all blocked ports. If a rogue process won't die, restart your computer to clear out the dead wood. This error occurs on older, obsolete versions of Windows. You're more likely to get error code 691 on newer versions of the operating system (see below). The error occurs when the VPN server denies a connection because you entered an incorrect username and password. This problem should be very easy to fix. It arises when you enter the wrong username or password. Make sure that Caps Lock is off, because these credentials are case sensitive. Make sure that the username and password that the network administrator or the VPN company provided are correct by checking back with them to confirm. At this point, the administrator should also check that your account has actually been set up on the VPN server. This problem occurs on Windows computers where you've manually set up a VPN definition. The most likely reason for the error is that you entered the wrong protocol in the VPN Type field. Try setting the type to Automatic and then retest the connection. If that doesn't fix the problem, read through the VPN's online documentation to get the right protocol for the server that you want to connect to. If all else fails, ask the VPN company's help desk. This is a Windows error that arises due to a failure of the VPN client software running on your computer to get through to the underlying networking software. Close down the VPN, run network diagnostics, make sure your internet connection is working, then turn the VPN on again. This Windows error could arise either on your computer or on the VPN server. This is a problem that arises when your user account doesn't have the access rights to VPN resources. The problem could relate to the user account permissions on your computer, the access permissions to the network (if you're connecting through a company or university network), or on the VPN server. The most probable location for the source of this error, if you are a private VPN user of a subscription service, is on the VPN server. As such, you'll need to contact the VPN's help desk to fix this error. This is a variation on error code 732. It occurs when a connection was established, but then rejected for some reason related to resource access rights. Contact your VPN provider's help desk to resolve this issue. This error arises on connections with the Layer 2 Tunneling Protocol (L2TP) over Internet Protocol Security (IPSec). The connection requires the presence of an authentication certificate on the client and on the VPN server. One of those certificates was not present for this connection attempt, thus creating an error. Your VPN provider should be able to solve this error. This is a generic error relating IPSec connection negotiations for L2TP. This is another error code that could relate to the absence of security certificates, or inconsistencies between the identity of either the client or the server and the details given on their respective certificates. If the system is using Pre Shared Keys (PSK) ensure that both the client and the server have the same key. This is a catch-all error code that doesn't give any details on what problem arose. You are more likely to get this error code, rather than one giving more precise details of the problem, if you have the VPN type set to Automatic. If you know the VPN protocol that you should be using to connect to a particular server, go back to the VPN setup in the Windows Network Settings and change the type of the VPN from Automatic to the exact protocol. Save these new settings and try again, hoping for a more precise error code. If defining the VPN type more precisely doesn't get you a better description of the connection error, you'll have to check through all of the VPN's settings. Make sure you have the right server name. Ask the VPN company for the IP address of the server and enter that instead of a name. If the settings all seem fine, then work through the following steps to see if any of them solves the problem. Close down the VPN and start it up again. Turn off the VPN, shut everything down, restart your computer, and then turn the VPN on again. In this instance, a connection was made to the VPN server, but the normal processes of data exchange cannot proceed. This is because a network firewall somewhere along the route is blocking VPN traffic, which uses the Generic Routing Encapsulation Protocol. You will have to contact your Internet Service Provider (ISP) and ask it to fix this problem. The most likely source of the problem is on TCP port 1723, which must be opened. This is a similar problem to error 806. It's caused by a firewall or router along the journey blocking access to TCP 1723. Contact your ISP to solve this problem. This is a variation on error codes 732 and 734. The problem is caused by your user account having insufficient privileges on the VPN server to successfully create a connection. You will need to contact your VPN's help desk and get them to fix this error. If you're lucky, this problem was caused because you spelled the name of the server wrong when you set up the VPN. Contact the help desk and confirm the name of the server that you should be connecting to. Also ask them to give you the server's IP address. This problem could have been caused by an incorrect entry in the Domain Name System (DNS), which interprets host names into IP addresses. Replacing the server name with the actual IP address is the quickest way to solve this problem. Check the name of the server in the VPN connection setup. If you had the name right, replace the name of the server with the IP address, make sure you've entered your username and password correctly and try the VPN connection again. This Internet Key Exchange version 2 (IKEv2) error is all about problems with the server's authentication certificate. As you have no control over the server, there is little you can do to fix this problem. You will have to contact the VPN provider's help desk and get them to fix the error. Having to deal with a string of errors when you try to connect to a VPN can be extremely frustrating. Low quality VPN services have poor customer support and it can take days to get a response. If a VPN company has a slow help desk, their support operators probably won't be very skilled either, so the first response to your support ticket may be an obtuse reply that entirely misses the point. Cheap support teams love to flag issues as resolved as quickly as possible. They frequently misunderstand the problem intentionally so they can get you off their queue and keep their response ratings up. The large number of error codes for VPNs shows you that a lot of things can go wrong when you try to set up a VPN manually. It is far better to look for a quality VPN service that includes a self-installing app. VPN apps rarely go wrong, especially if the installation went without a hitch. Make sure you choose a quality VPN service with a highly rated customer support team. Then, hopefully, you'll never have to face the dread of reading a VPN error code on your screen.